Just as in other parts of the world hit by the shockwaves of the Industrial Revolution, the call for public housing in the U.S. was born in the late 19th century out of an urgent attempt to put an end to the urban misery faced by factory workers. With rising levels of homelessness in the U.S. today another crisis is looming but the response this time around is a more ambiguous one. This first part in a series on housing in America tells the story of how public housing began in the U.S. and how it got where it is today. Future articles will look at other aspects of housing in the U.S. in more detail. Public housing in the U.S. today provides homes to 2.1 million low-income Americans. However, while public housing in Europe remains a significant part of the housing stock, most Americans continue to chase the home ownership dream — despite growing evidence that this is failing many and exacerbating social and racial segregation (ironically the impetus behind the birth of public housing in the first place). Publicly subsidized housing today houses only 5 percent of the population, with around half of that provided by profit-making companies. 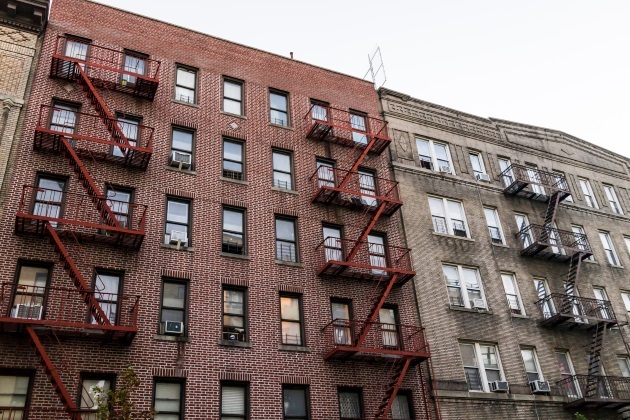 Our perceptions of public housing have shifted so dramatically that, despite the horror stories, there is simply less collective outrage than in the past. The has a lot to do with how we perceive the urban poor and the right to shelter. The Industrial Revolution across U.S. and European cities brought great wealth to some, but not to all. With it came a mass influx of the working poor to the cities and the ensuing crises of overcrowding, sanitation and shocking conditions. It was the shock of seeing the slums and tenements of New York that eventually led to calls for reform and decent housing for all. Philanthropy has always permeated American life, and housing was one of the targets of charitable funds at the time. Indeed, it was Massachusetts-born financier George Peabody who gave away millions to house the poor in decent dwellings amid London’s industrial boom. Despite scattered efforts beforehand, it was the onset of the Great Depression in the 1930s that that ushered in a short-lived period of a different approach to housing in the U/S. When Roosevelt was elected in 1933, his New Deal promised to alleviate the suffering brought on by the Depression, and housing was a cornerstone. The newly established Public Works Administration was a powerhouse that both provided housing and acted as a catalyst for economic recovery. The 1937 Housing Act provided subsidies to local housing agencies to improve living conditions for low-income Americans. This era marked the high watermark of public housebuilding in the U.S. Importantly the PWA was not only "residual" housing for the poor, as we think of it today. It was often housing targeted at the middle classes. These projects, however, were segregated from the beginning along racial lines (more of which later in the series). While in the U.K. and elsewhere in Europe, the post-war years brought about a revolution in public housebuilding that still echoes today, there was no such revolution in the US. This was partly born of the fact that — while the U.S. suffered post-war housing shortages as the construction sector ground to a halt — the country escaped the destructive bombing that hit its allies in Europe. However, it also had a lot to do with policy choices. The Housing Act of 1949 was ambitious and designed as a landmark act that would set the course for housing in the U.S., declaring that every American deserves a "decent home and a suitable living environment." But the program was never provided with adequate funding and public housing fell into neglect. As a result, since the 1960s housing subsidies have largely been directed to private developers. The election of President Reagan put the nail in the coffin for public housing in the U.S. Housing was one of the targets in the dismantling of the welfare state he embarked on in tandem with his ideological ally Margaret Thatcher in the U.K. The budget of the Department of Housing and Development (HUD) was cut by more than half under his presidency. Since those times, affordable housing in the U.S. has been provided by a combination of a voucher system (that low-income tenants can use in the private sector) and a complicated system of tax credits to incentivize private developers to build low-cost units. This radical withdrawal of funding for providing shelter to low-income citizens was more than simply a change in the winds — it represented a sea change in how Americans viewed urban poverty. Rather than the "deserving," "working" poor of the 19th century that tugged on the heartstrings of George Peabody, urban poverty in the U.S. and other countries today is increasingly seen as a "moral failure." In the Reagan era, homelessness became seen as a personal lifestyle choice. In the U.K. and Germany, from the outset public housing was created to address a severe housing shortage like today’s, but that housing was designed for all, not only a safety net for the poorest of the poor. That was never really the case in the U.S. (although since the 1980s U.K. housing policy has whistled to an American tune, too). Conclusions: a return to philanthropy? In today’s political climate, what we are observing is not a state rushing in to address the shelter crisis. In fact, in many ways we are returning to square on — the philanthropists. Last month, Microsoft unveiled that it was committing $500 million to advance affordable housing in Seattle — by subsidizing construction of new homes (both middle-income and low-income) and through grants to address homelessness. This has strong echoes of the 19th century — few come closer to the modern-day equivalent of the 19th century captains of industry than Microsoft. However, the problem with philanthropy when it comes to a problem as systemic as the housing crisis is that interventions rely on finding an overlap where genuine social needs overlap with the “enlightened self-interest” of the "5 percent philanthropist." Celebrated British philanthropist George Cadbury created the "model village" of Bournville as a philanthropic Act to provide decent housing, but one that also bought loyalty and productivity from workers. Importantly, these model villages also placed an emphasis on the "moral uplift" and acceptable tenant behavior for those lucky enough to be granted their generosity. That does not mean that the offers made by Peabody and Microsoft were not helpful. However, ultimately housing is one of many sectors vulnerable to market failure when left to forces of demand and supply alone, and philanthropists cannot solve market failures. Every booming housing market has its Skid Row, and the problem is growing. This is because housing, as shelter, is a fundamental right rather than an ordinary commodity. As Microsoft itself has pointed out — that requires the government, not tech philanthropists, to step in.